The new way to design your house. 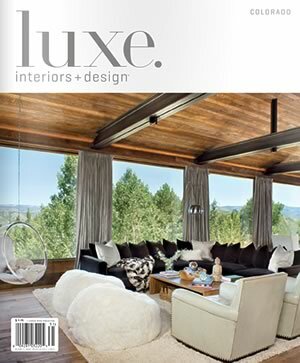 The Luxe Interiors + Design GOLD LIST 2014 is a compilation of design professionals from across the country whose projects have been featured in the magazine's pages over the past 18 months. 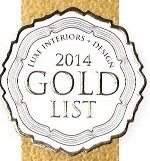 Below is a list of design professional in Colorado that made this year's list. Drew Weigle and Eco-Logical Resources project feature in Mountain Living. In the winter 2012 edition of LUXE Colorado, an article on a new home a few miles north of Durango features landscape design and installation by Drew Weigle's Eco-Logical Resources. The project included large flowing water features with massive sandstone "plank" bridges and cascades, meandering flagstone paths and comfortable patios, carved granite boulders delineating a riverside fire circle and sitting area, and both native and ornamental planting.